In my latest column, I find some good news in the allegation that some of the nation’s top-selling low-cost wines contain unsafe levels of arsenic. In late March, two couples filed a class action lawsuit in California alleging that some of the nation’s top-selling low-cost wines contain unsafe levels of arsenic. “Just a glass or two” of wine from producers like Cupcake, Charles Shaw, Franzia, Rex Goliath, and Korbel “could result in dangerous arsenic toxicity,” according to the suit. Many media outlets jumped on the story. 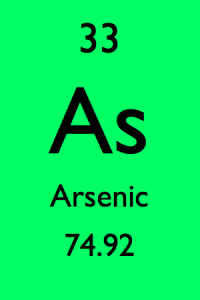 CNN asked, “Should you be worried about arsenic in California wine?” Local CBS affiliates terrified viewers with breathtaking stories about “high levels of deadly arsenic.” But the coverage was grossly overblown. So consumers should rest easy; winemakers aren’t topping up their tanks with the toxin. But the collective freak-out demonstrates that consumers are starting to pay attention to what’s in their wine. That’s worth celebrating.